Naturally, everyone at Mystery Playground loves to give books as presents, but finding the right book for the right person can be a bit tricky. This is a rundown of ideas for the short story lover. With so much going on around the holidays, sometimes all you have time for is a bite sized peice of fiction. Here are some short story options for you that we love. 1) Subscriptions to Ellery Queen Mystery Magazine and Alfred Hitchcock Mystery Magazine. These monthly magazines come full of wonderful stories, puzzles and news from the world of Mystery. For over fifty years, Alfred Hitchcock’s Mystery Magazine has been one of the foremost publishers of mystery, crime, and suspense short stories. Stories featured in AHMM have won dozens of awards, including many Robert L. Fish awards for Best First Mystery Short Story of the year. Alfred Hitchcock's Mystery Magazine is home to many bestselling authors, including Martin Limon, Jane K. Cleland, Loren Estleman, Rhys Bowen, and Kristine Kathryn Rusch. Every story is illustrated, and every subgenre of mystery fiction is represented in AHMM, from the classic whodunit to the hardboiled tale to suspense and everything in between. Ellery Queen's Mystery Magazine was launched in the fall of 1941 by Lawrence E. Spivak of The Mercury Press (who subsequently founded and hosted the popular TV show Meet the Press). It was heralded as the brainchild of Ellery Queen himself, really the two-cousin writing team of Frederic Dannay and Manfred B. Lee. In 1941, Dannay explained his manifesto for Ellery Queen's Mystery Magazine as being to "raise the sights of mystery writers generally to a genuine literary form," to "encourage good writing among our colleagues by offering a practical market not otherwise available," and to "develop new writers seeking expression in the genre." In pursuit of the first goal — to raise mystery writing to a respected literary form — he set about finding and publishing stories with elements of crime or mystery by great literary figures past and present. The result was the inclusion of more than forty Nobel and Pulitzer Prize winners in EQMM — Rudyard Kipling, William Faulkner, Ernest Hemingway, Norman Mailer, and Alice Walker among them. 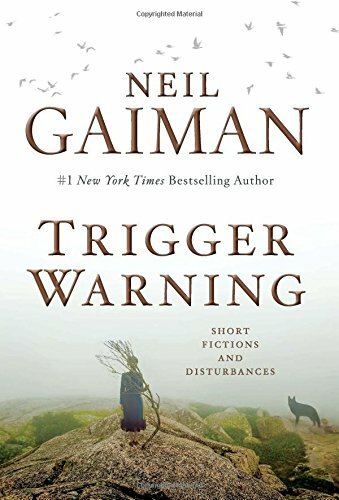 Gaiman's third book of short stories not only includes a Sherlockian tale called, "The Case of Death and Honey" but there is a Dr. Who story called "Nothing O'Clock," and a ode to Ray Bradbury called "The Man That Forgot Ray Bradbury". Gaiman's notes are just as much fun to read as the stories. I reach for this book each year when it comes out in October. This year features stories from Jeffery Deaver, Brendan DuBois, Joyce Carol Oates, Lee Child, Dennis Lehane and Michael Connolly. Elmore Leonard, who passed away in 2013, is famous for novels and short stories that turned into popular movies and TV shows, like Get Shorty, Out of Sightand Justified and a slew of best selling books, like Raylan, Tishomingo Blues, and Rum Punch. I love this book not only for the stories but also for the Elmore Leonard's edits you can see on the end pages. 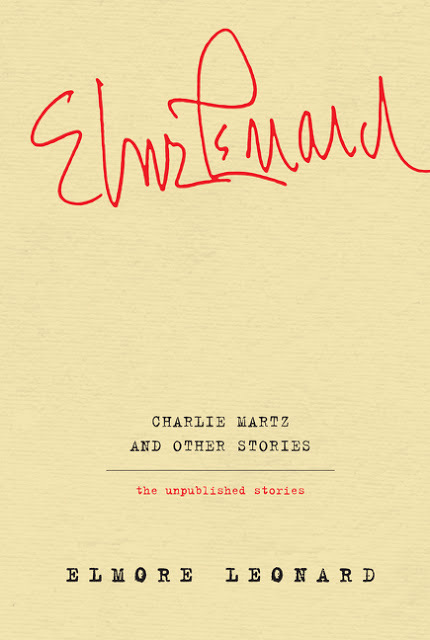 This is a wonderful compendum of short stories that Otto Penzler originally commisioned to give to his bookstore customers at the Mysterious Bookshop in New York City. 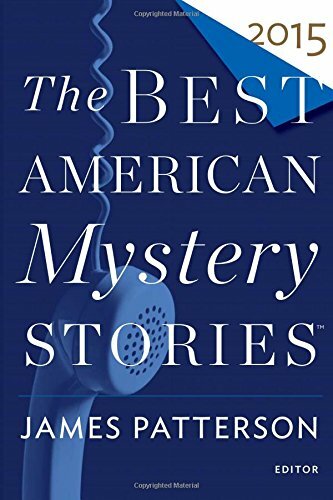 Stories by Lawrence Block, Anne Perry, SJ Rozan and Donald Westlake are included. My favorite story of the bunch is What's in a Name? by Mary Higgins Clark, much of which takes place inside the Mysterious Bookshop and Otto Penzler, the editor, is a character. You can tell Higgins Clark had fun with this one. Especially in her ending. Although this book came out in 2010, it is still widely available online.